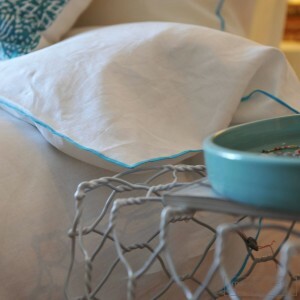 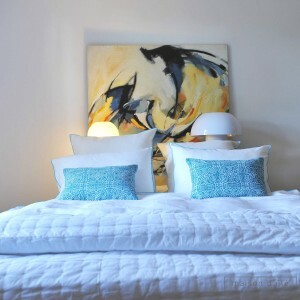 Check out the white washed linen comforter cover with turquoise bourdon stitching and an especially fine bourdon embroidery finish: pure and elegant! 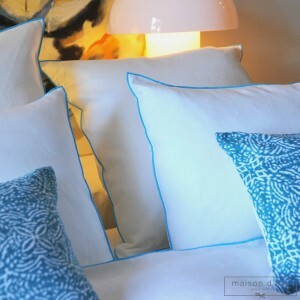 To go with coordinating pillow cases - or even the curtains in the collection. 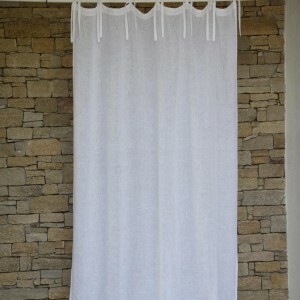 100% linen. 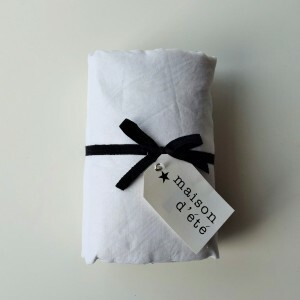 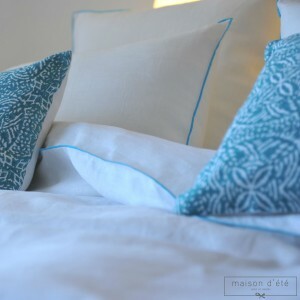 Linen made from superior quality long French linen fibers. 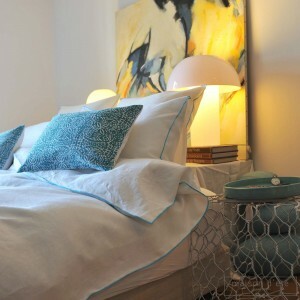 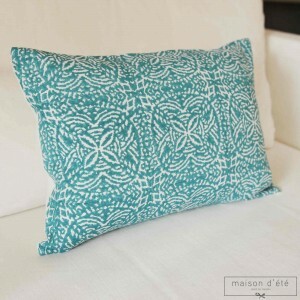 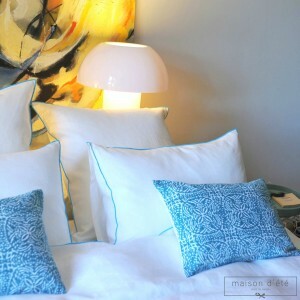 Très belle housse de couette, joli bourdon de couleur turquoise.